Getting up, when the light wakes the well-rested doggies, who can’t wait to stretch their legs and wag their tails on a walk on forest paths in the morning. Our playground is next to the wood, which is why, in the dog days of summer, there’s plenty of shade, with enough little places where we can still be caressed by the sun. For all dogs, good, mischievous, curious and playful! Smrčkov Gaj is a paradise for walks, happy days, and play, where a doggy's time flies. 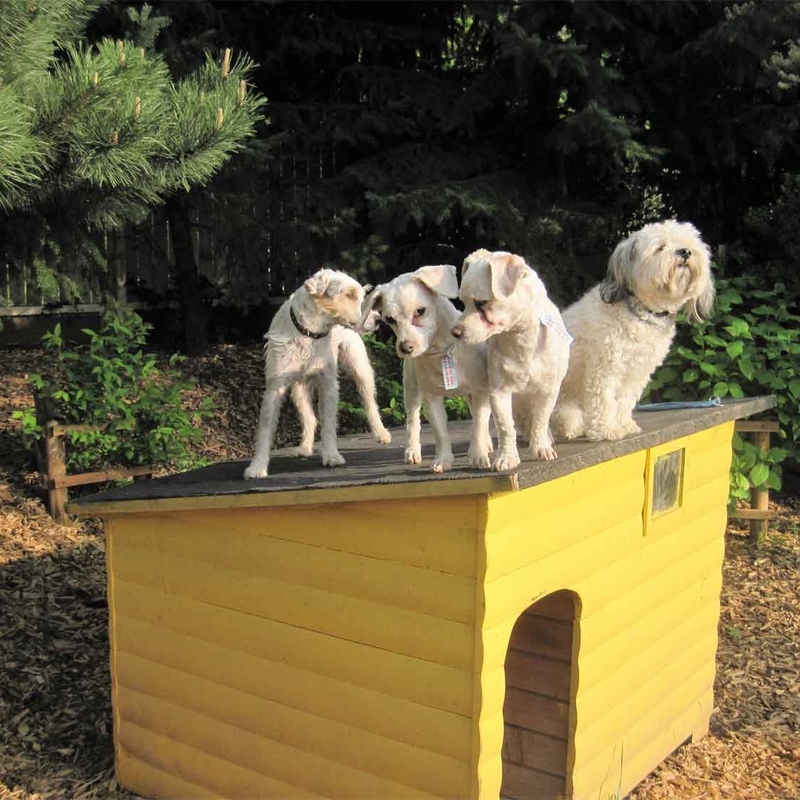 We offer quality stays at our dog hotel. With our family, your dog is in good hands! Presumably between 1.6. – 15.9. We’ll have fun all day long. Picking up, transporting, and dropping off the dogs. The Muzzlemobile takes you there in a snap. As responsible dog owners we are aware that having a dog means a 24h responsibility. Sometimes we can’t accommodate our doggy pal due to our commitments or to vacations. In that case we try to find him or her a replacement home where our furry friend will feel good, as they have a highly developed sense of sociability. 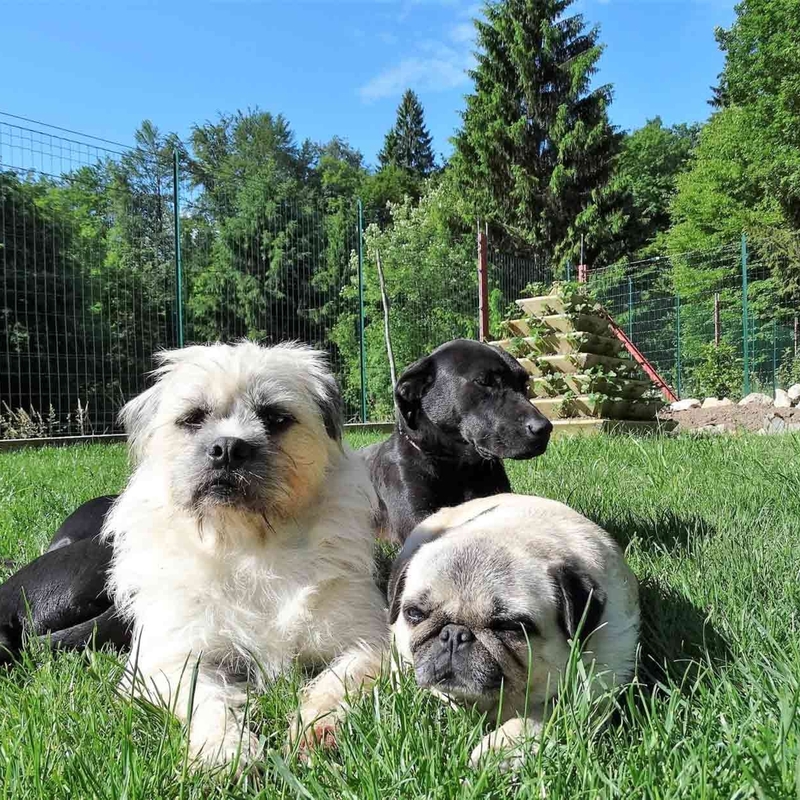 The dog hotel Smrčkov gaj is a replacement home for all sensitive dogs. We don’t have kennels, the dogs can move around freely in the fenced-off garden and live with us in the house, and they are never locked in a cage. The dogs are constantly monitored, even at night. During the winter the places where the dogs stay are heated. A large dog living room is available, with a huge television and soft beds. We walk the dogs on the surrounding forest paths, where they can exercise their legs and satisfy the age-old desire to sniff and to run. All dog owners can contact us about their dog every day either by calling, sending a text, or by Skype. 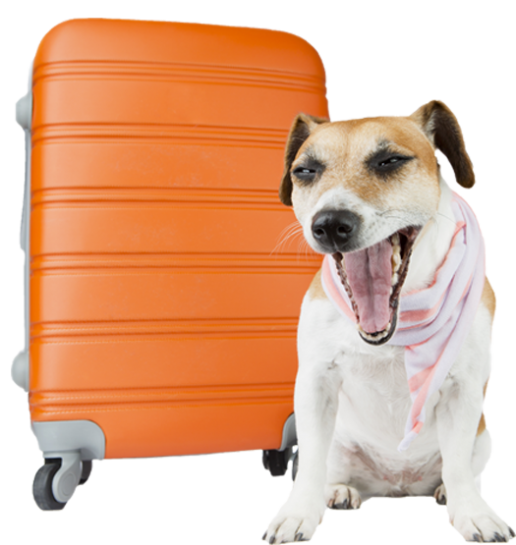 Kindness, gentleness and decisiveness help us create a pleasant environment for our dog guest’s stay. Your dog’s happiness is our mission. We offer the highest quality of vacation! Expected to be open from 15. 4. to 15. 9.!